Ever since I can remember, I have been told that “lectures” are the worst way to for students to learn. 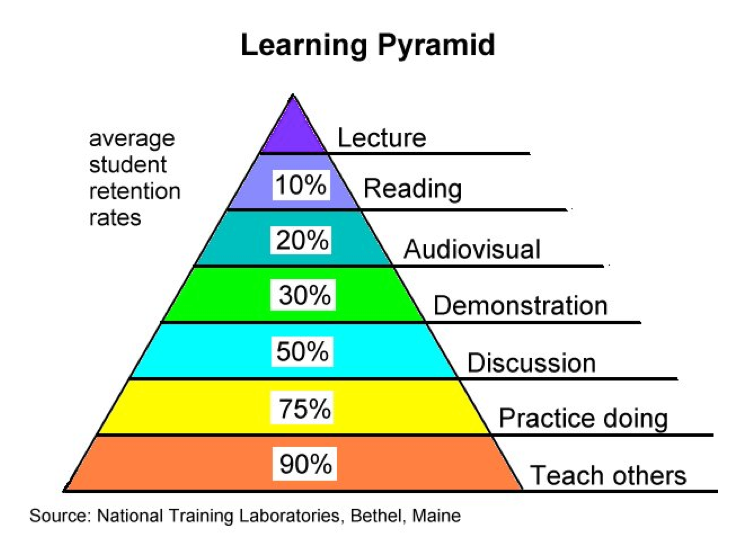 I saw a great presentation recently that highlighted the learning pyramid and talked about lectures at the top of that pyramid. 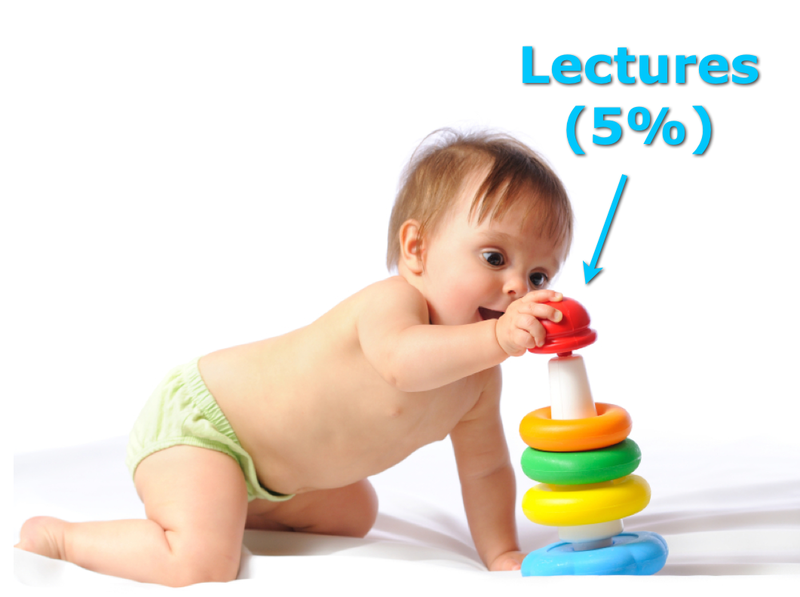 For this and many other reasons, lectures have gotten a bad reputation. Essentially, when you look at the pyramid, you see that audio-visuals, demonstrations, and discussions are among the techniques that enhance learning. However, I would argue that great presentations incorporate all of these techniques, and in the right settings, can even get to practice and having students teach other. I think that “lectures” in this setting represent the extreme of purely regurgitating (likely in a monotonous tone) information from a text to the learners. To further emphasize this point, Issa, et. al. has published two papers in the past 2 years showing both short term and long term learning and retention benefits using educational design principles in the presentation. So, the way I look at it is like this: Presentations can have a range of effectiveness and it is up to us to break the “curse” of the pyramid and make great presentations that optimize learning and retention. This entry was posted in Learning by Tyson Pillow. Bookmark the permalink.